Stuttgart, Germany — Around the world, smartphone sales and usage have been grabbing the spotlight on communications technology news. The proliferation of smartphones in-creases the pressure on mobile network operators to focus on services that compliment smartphone usage. Consequently, although mobile voice remains the foundation of most mobile operators, data communications and Internet, driven by the popularity of smart de-vices and mobile apps, shape the most the mobile service market at the moment. However, it is important to bear in mind that basic communication services are still the main reason why people use their mobile phones. Mobile voice services still generate the largest share of carriers’ service revenues (over 66% in 2012) and these will still represent more than 50% of all mobile revenues in 2017. 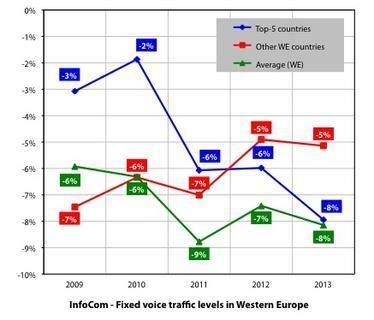 And while mobile voice revenues continue to fall, mobile voice traffic continues on increasing albeit at a slower rate in Europe. As a matter of fact, mobile voice traffic grew by around 5% from 2008 to 2012 and is ex-pected to continue growing at roughly 2% until 2017, driven by international and mobile-to-mobile calls. This means that, generally, minutes of use (MoU) per month in Europe (136 in av-erage) are still increasing. And, if we consider that a quite a large portion of subscribers have more than 1 subscription active (SIM cards) that is used for data-only access (USB dongles and data cards), it is evident that minutes of use per subscriber are actually higher. 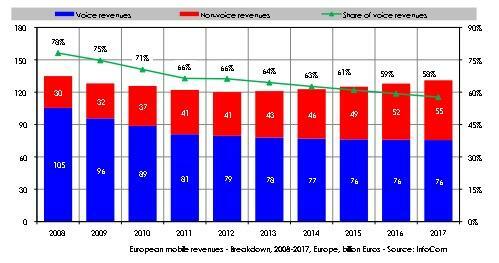 This fact, coupled with the declining voice revenues, implies that revenues per minute in Europe are declining rapidly thanks to the proliferation of flat rate voice plans and decreasing mobile termination rates. Consequently, while mobile VoIP is not expected to completely replace traditional mobile voice calls as a primary communication, it is nonetheless having a con-siderable impact on operators’ revenues. 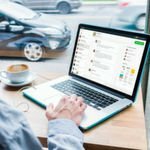 Mobile network operators typically take a pessimistic view of mobile voice telephony: with over-the-top mobile VoIP solutions spreading, operators lower their voice prices in an effort to entice subscribers to use the more traditional mobile calls rather than the VoIP alternative. Western Europe in particular has a very high uptake of mobile VoIP and messaging applica-tions such as Viber, Skype, Facebook Messenger and WhatsApp, which are seen as a low-cost alternative to traditional mobile voice and SMS. The only advantage of mobile voice is its reliability. Although with LTE networks being rolled-out, mobile VoIP may also have a more re-liable background technology, with the introduction of HD voice, mobile voice calls may still have a slight advantage. 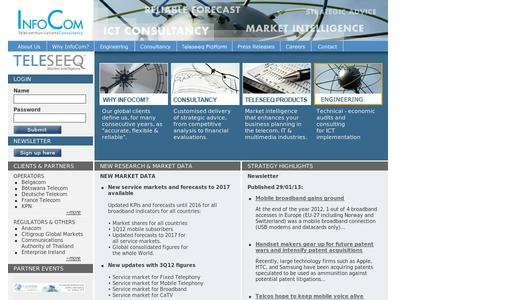 Our products provide decision makers with an authoritative analysis of market dynamics, trends, and opportunities.